The iconic Peugeot brand is synonymous with quality and innovation. 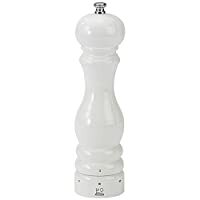 Their salt and pepper mills and grinders are no exception. Peugeot have been creating grinders for over 100 years. Their grinders are common in many professional kitchens. If you’re looking for a professional grinder then Peugeot is the choice for you.